Well, after five months of promoting their Bacardi Legacy drinks, the Australian leg of the Bacardi Legacy Global Cocktail Competition is done and dusted. The winner? It is none other than Andrew Bennett, from The Classroom, WA, with his winning drink, The Seventh Art. 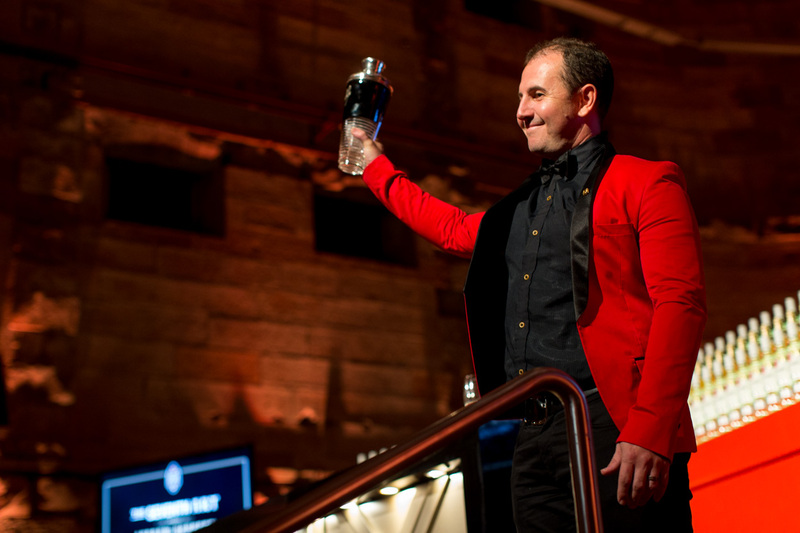 At a gala dinner held at the Cell Block Theatre in Sydney on Tuesday night, the crowd and extended Bacardi familia gathered to taste each of the Three Most Promising’s drinks, and watch as the Australian winner was unveiled. This now means that Bennett is the Australian 2016 Bacardi Legacy champion and will go on to San Francisco to compete against the world’s best – and hopefully bring home the title to Australia. Take a look at his recipe below. Muddle popcorn in Boston shaker and combine all liquids with ice before shaking hard for 10 seconds. Double-strain into a chilled glass and garnish with a small ramekin of popcorn beside. Cuba has a golden history of cinema dating back to 1897, when silent movies were first shown on the Island. Known as the ‘Seventh Art’, cinema has been influential in defining the changing Cuban identity and how they view their place in the world. Celebrating this legacy, this cocktail is refreshing, modern and will remind you of your favourite movie experience with that quintessential popcorn flavour, while keeping the classic taste of BACARDÍ Carta Blanca front and centre.